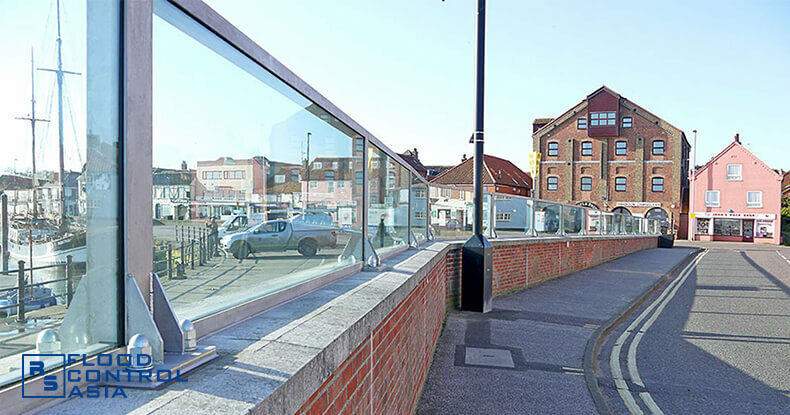 Where can these Glass-Paneled Flood Barriers be installed? 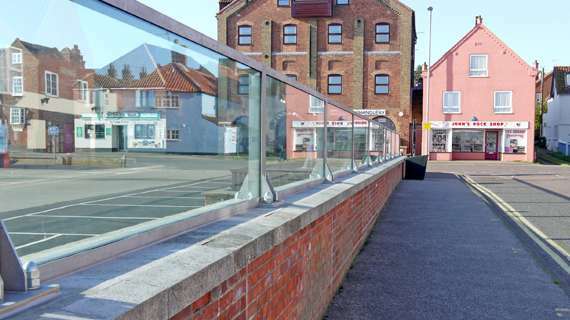 Installed to serve as a seawall, a river dike, or a permanent flood barrier for tourist destinations, the glass-paneled type can withstand even the most disastrous of all flooding incidents. Though it is made of glass, which is seemingly a fragile material, this permanent flood barrier can protect large areas, even an entire community. It can be built on top of an existing floodwall so as to block a rapidly rising flood level. Watch this video and see how these permanent flood barriers work! 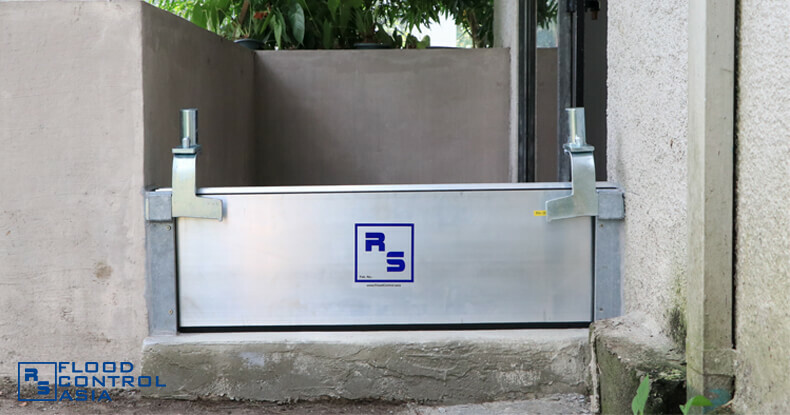 Aside from protecting large areas like riverbanks and seasides, the Glass-Paneled Flood Barrier can also serve as a flood-proof window for some buildings. They are ideal for dikes, seawalls, or building perimeters. They work perfectly for scenic views that need flood protection. They can also be used for buildings or homes as flood-proof windows. Of all RS flood control solutions, this one made of glass is truly a permanent flood barrier. The Glass-Paneled Flood Barriers can protect large scenic areas without obstructing scenic views. They can be mounted on existing floodwalls. These permanent flood barriers can be coated with self-cleaning finishes to maintain a stain-free look. These glass floodwalls have a maximum lifespan of around 50 years. 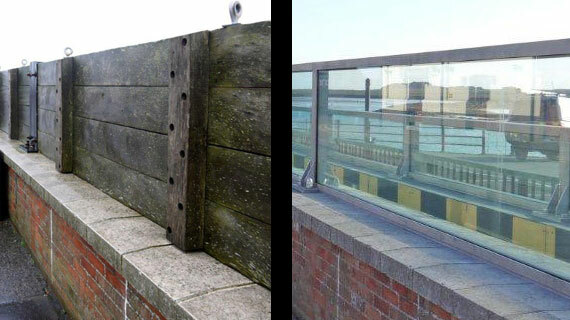 Why choose Glass-Paneled Flood Barriers? Better choose Glass-Paneled Flood Barriers if there is a need to protect a large area without obstructing a beautiful scenery. 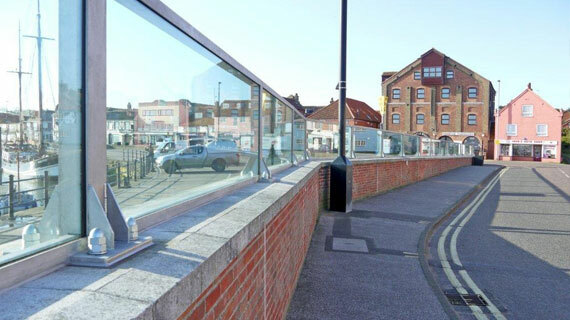 Protecting the area from intense flooding while preserving its scenic environment is one of the main purposes of Glass-Paneled Flood Barriers. Is it safe to use Glass-Paneled Flood Barriers? Of course, there is no danger in using Glass-Paneled Flood Barriers. 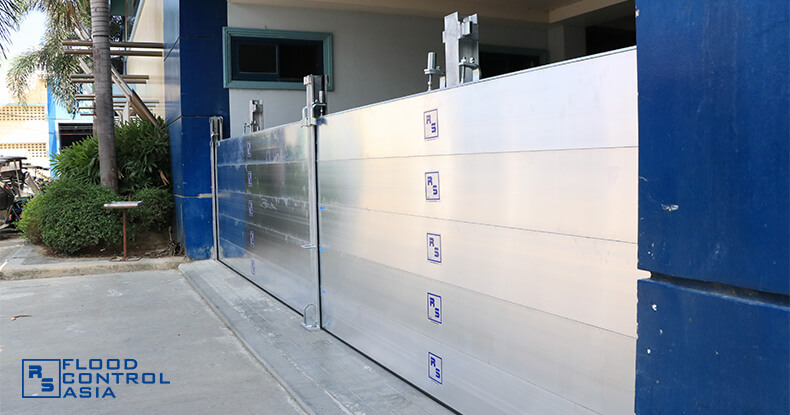 Although glass is a fragile material, the glass panels used for this flood barrier is made of structural glass mounted on stainless steel frames. Do I have to clean the Glass-Paneled Flood Barriers from time-to-time? No, you don’t have to waste your time polishing these glass panels. They can be coated with self-cleaning finishes so they won’t accumulate dirt over time. Are the Glass-Paneled Flood Barriers expensive to maintain? No! The Glass-Paneled Flood Barriers have no removable or moving parts; thus, they require little maintenance. Moreover, the glass panels have a maximum durability lifespan of 50 years. Where can I install these Glass-Paneled Flood Barriers? They are ideal for dikes, seawalls, building perimeters, and other scenic views such as bay walks.